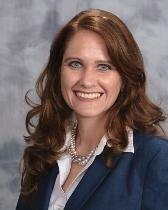 Debbie Mclntyre-Yurkovich is a founding partner of Mclntyre DeFede Law PLLC. Ms. Mclntyre-Yurkovich has represented individuals in a variety of legal matters throughout Northern Virginia. Her clients benefit from her many years of experience in the legal field and the knowledge garnered from hundreds of prior cases and clients. Ms. Mclntyre-Yurkovich is also a parent, one of whom who has special needs. As a parent, she understands the unique circumstances that present legally, economically, and emotionally to parents or their child(ren).